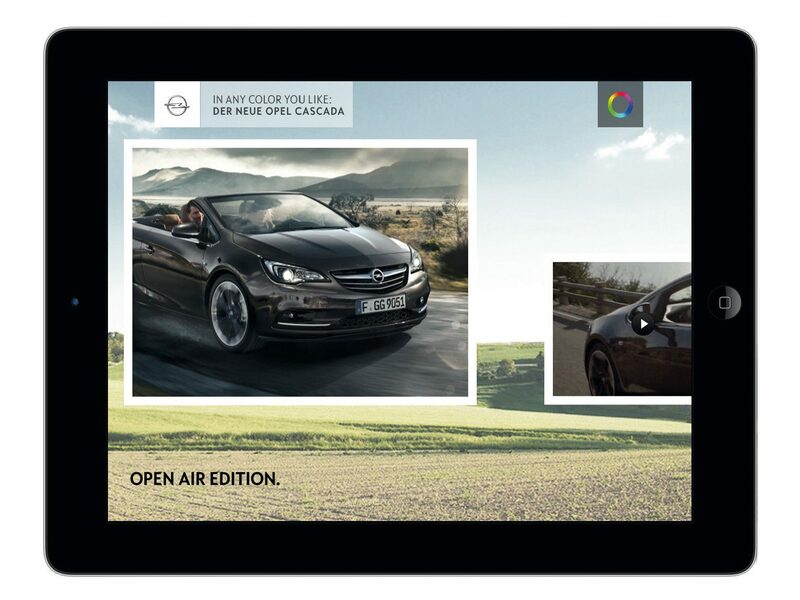 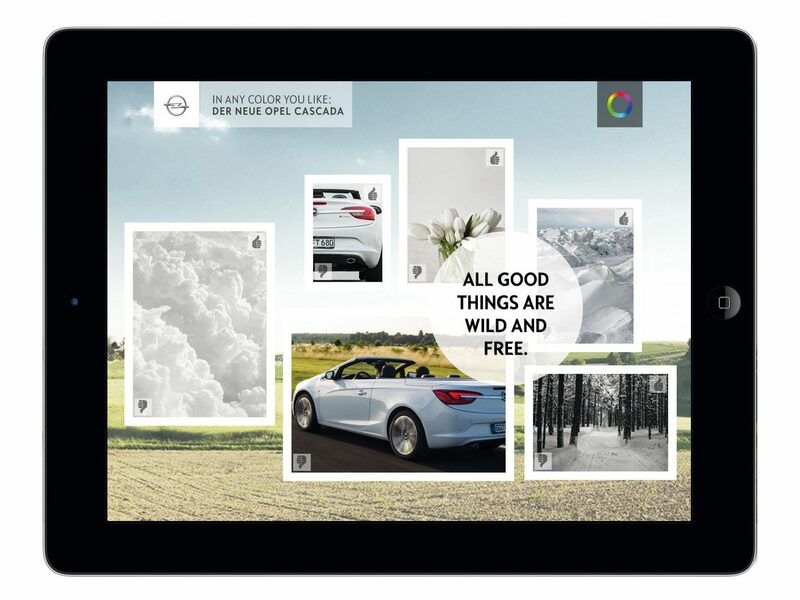 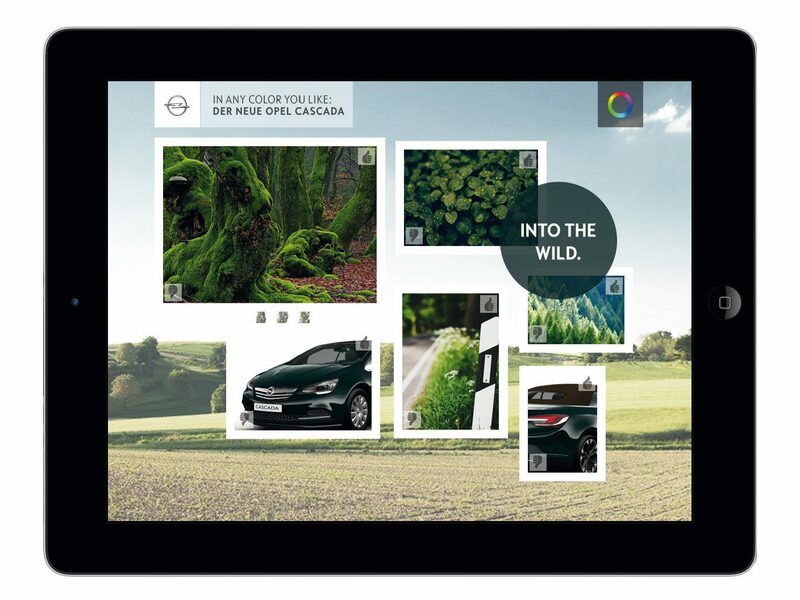 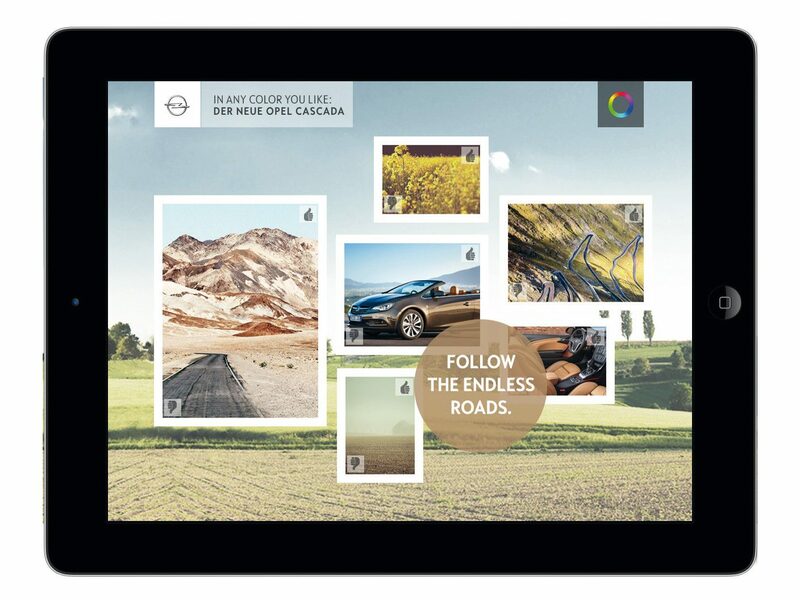 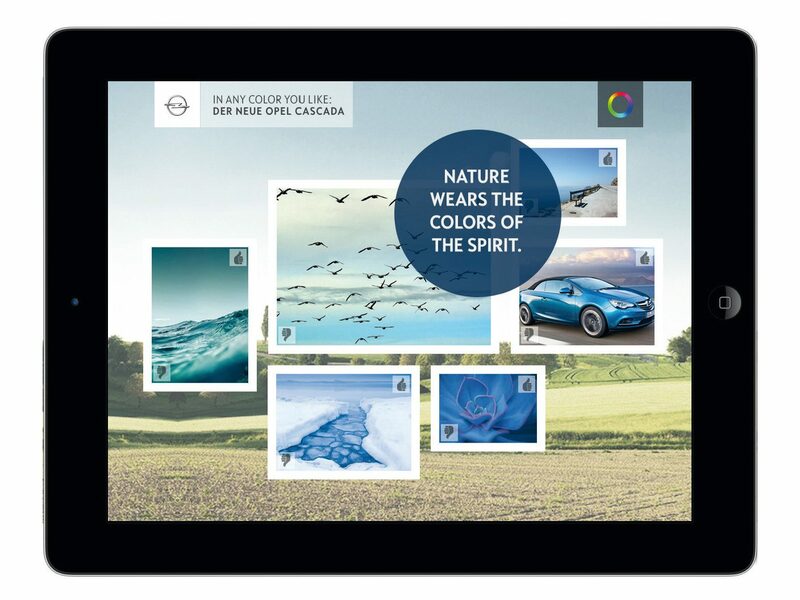 A quick and fast approach to get in touch with Opel models and its highlights: All you have to do is like or dislike settings and features. 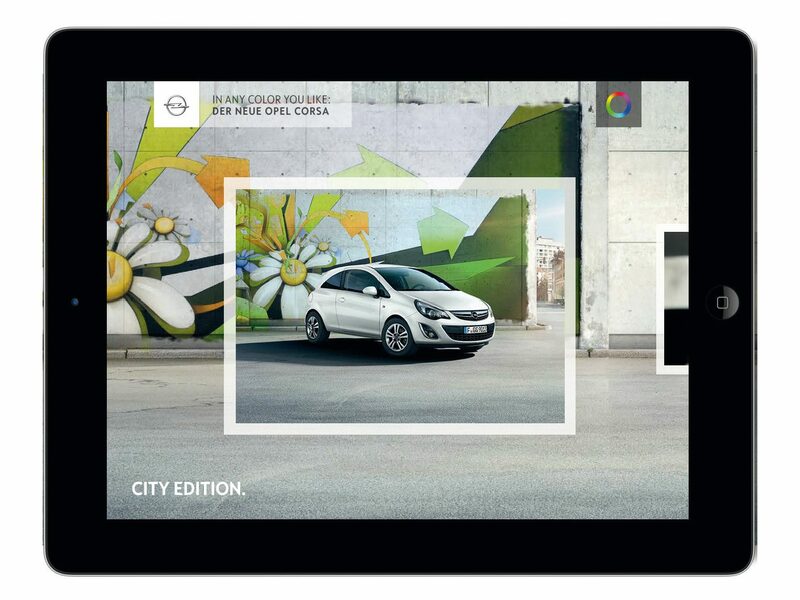 The result: the presentation of an appropriate Opel model. 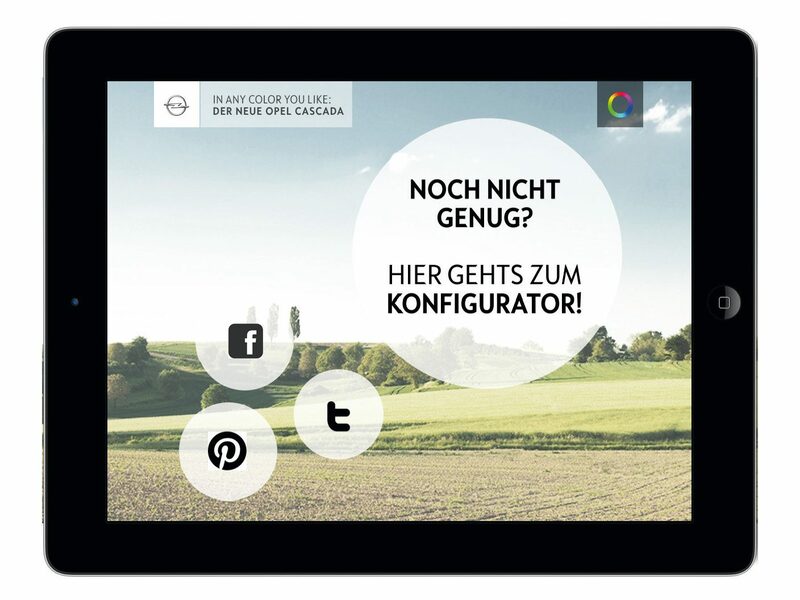 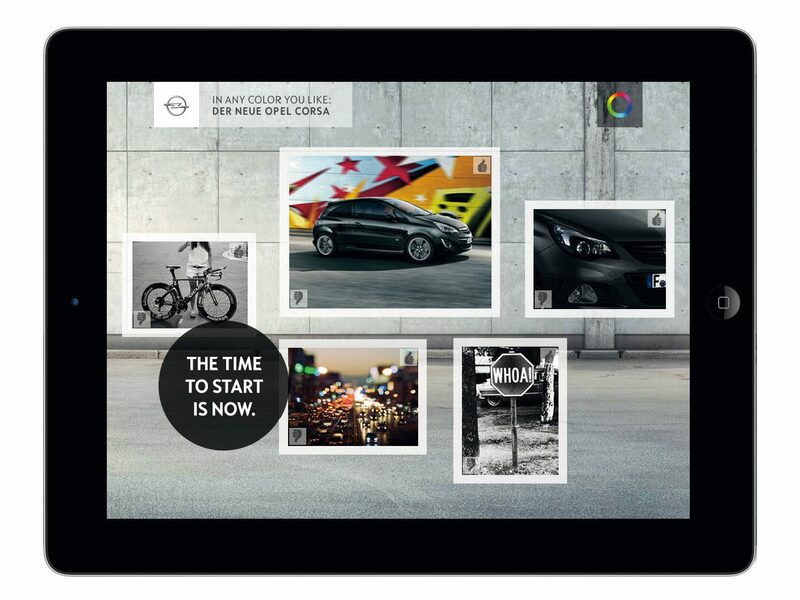 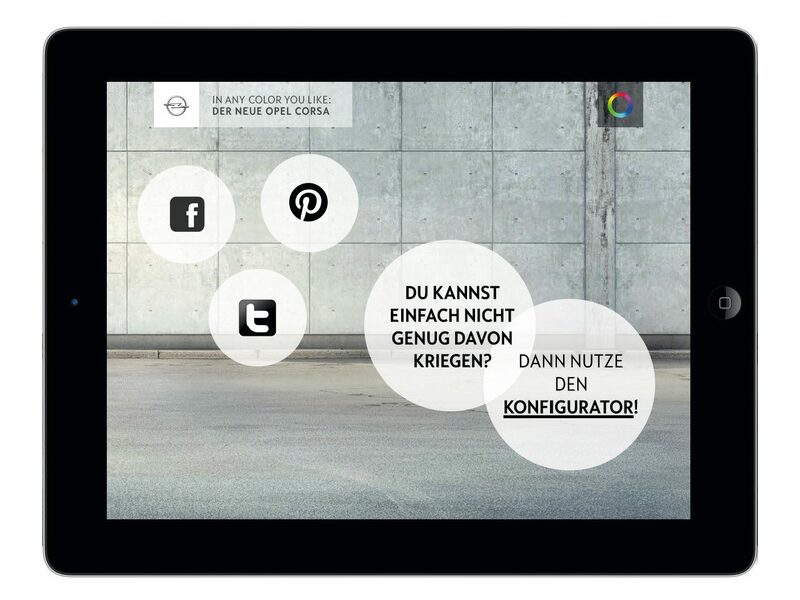 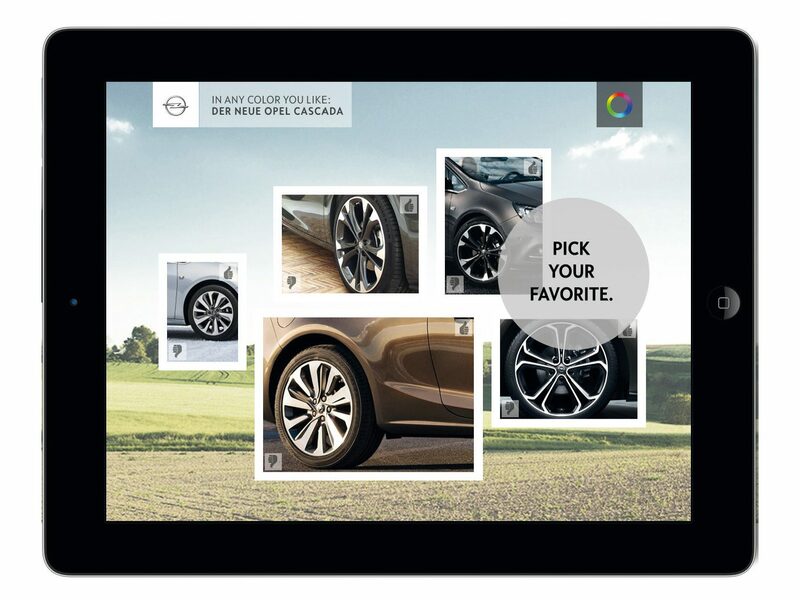 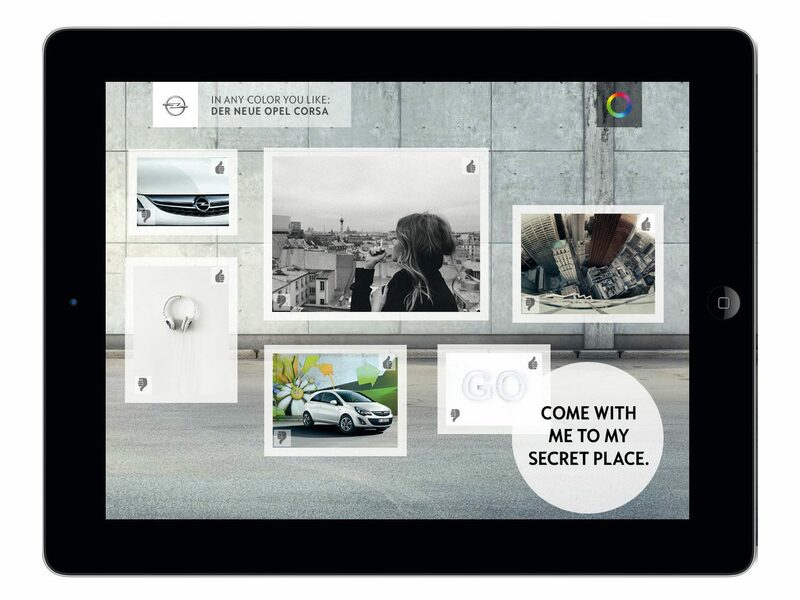 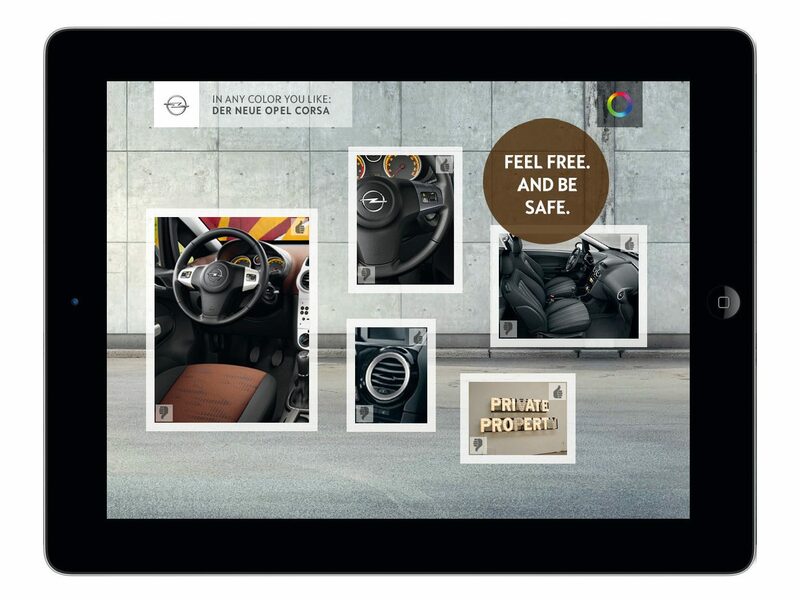 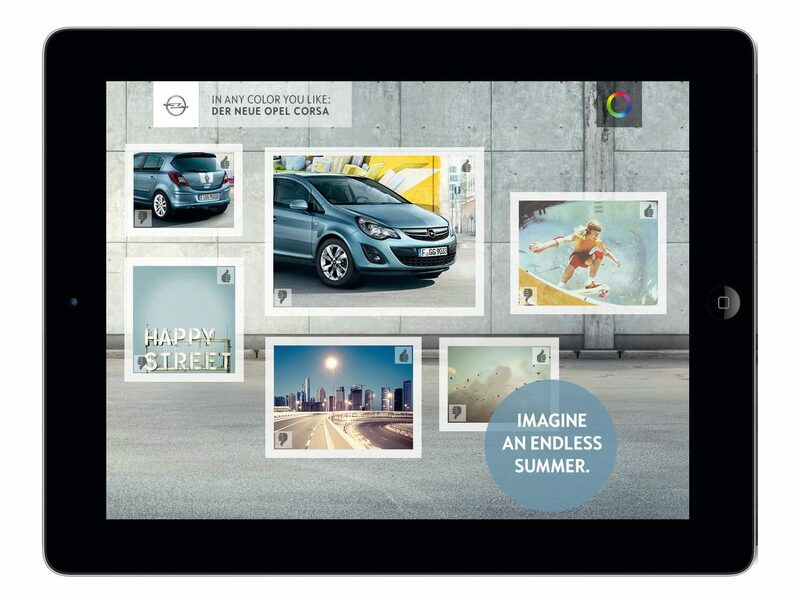 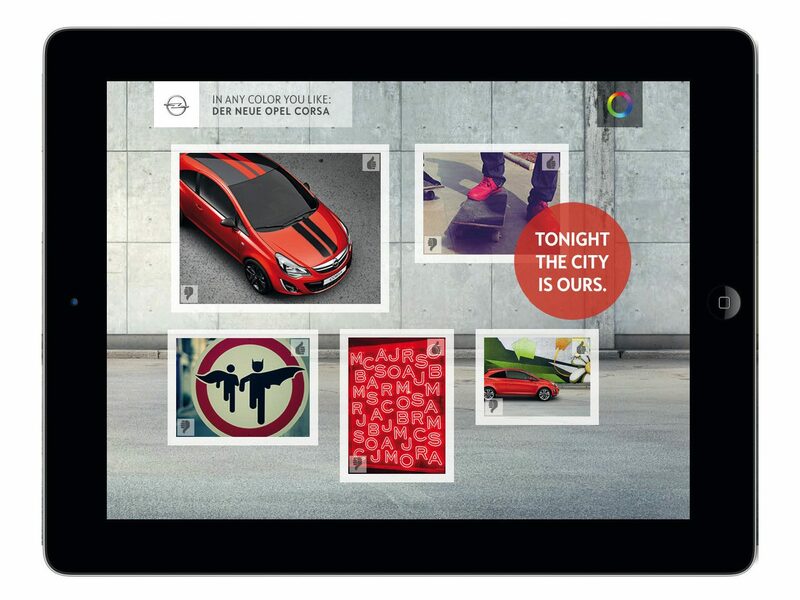 Based on that you can edit the suggestion in the Opel web-configurator. 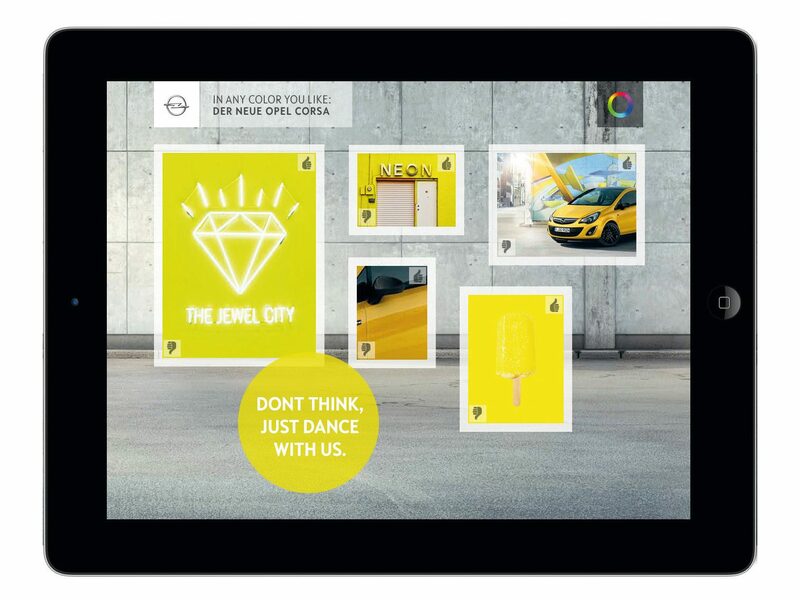 The work has been developed in cooperation with Codeluxe (Concept and Layout). 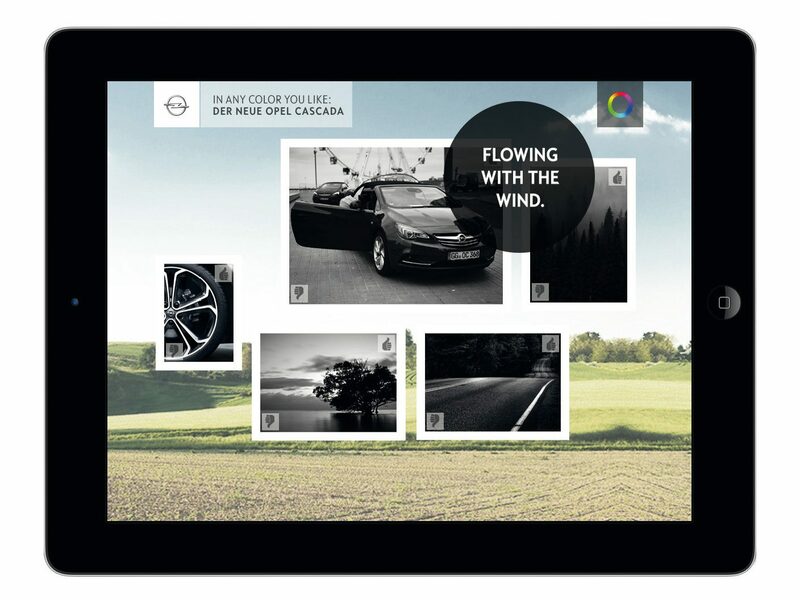 Screenshots from different positions in the horizontal band.